The 2nd Thursday of every month, the best crowd gathers for the Thornton 2nd Thursday Wine + Art Walk. They come to celebrate the community, art, and partake in an evening of sights, sounds, food, shopping, and some tasty tastings all along the walk! $15 (Cash only) gets you a glass and a map of over 25 businesses that will be offering you a tasty tasting! Along the way, we have Live Music, Art Vendor's, DJ's and all sorts of fun! See you at the Thornton 2nd Thursday Wine and Art Walk! You may contact Jason Lee at 321-695-8266 or via email at ArtsHubOrg@gmail.com for questions about Artist participation. 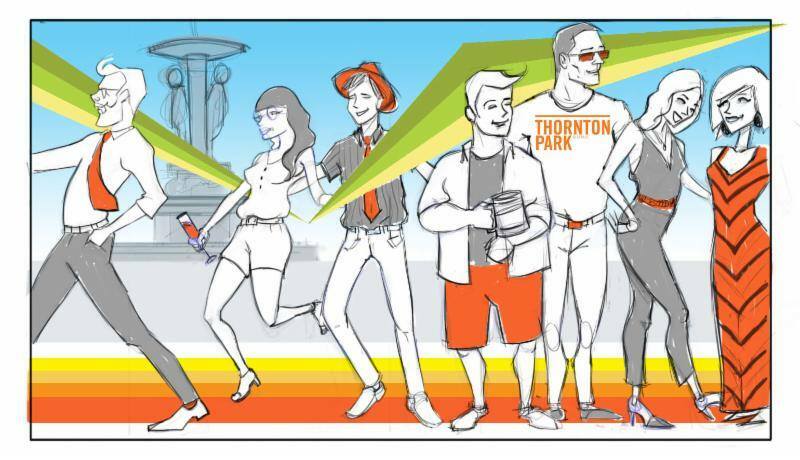 Thornton Park District is an entity, made possible through the interest, efforts, and generosity of the City of Orlando Main Street Program as well as our many members and volunteers. Proceeds go to the Thornton Park District a nationally accredited Main Street.